A beautiful young seeress staggers across the Roman marketplace and dies in the arms of Gordianus the Finder. Possibly mad and claiming no memory of her past, Cassandra--like her Trojan namesake-was reputed to possess the gift of prophecy. For such a gift there are many in Rome who would pay handsomely. . . or resort to murder. Obsessed with Cassandra and her mystery, Gordianus begins to investigate her murder. As he gradually peels away the veils of secrecy that surround Cassandra's life and death, he discovers a web of conspiracy linking many of the city's most ruthless and powerful women. Now Gordianus's pursuit of the truth not only endangers his own life, but could change the future of Rome itself. . .
"Vivid and robust...exquisite detail and powerful drama." 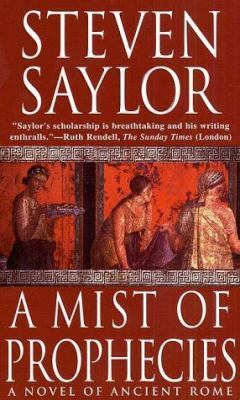 "Saylor shows once again why fans of ancient historicals regard him as the leader of the field."